Chick-fil-A is giving away free food this week. On Tuesday, July 10, Chick-fil-A is giving away free chicken and more for Cow Appreciation Day 2018. Any customer who shows up to Chick-fil-A wearing a cow-costume — or at least something cow-related — can get a free entrée. Cow Appreciation Day begins when restaurants open on Tuesday morning and continues until 7 p.m. Customers are only able to get free food when employees verify that they are, in fact, dressed in a cow-themed outfit, so orders need to be made in person — not via app. 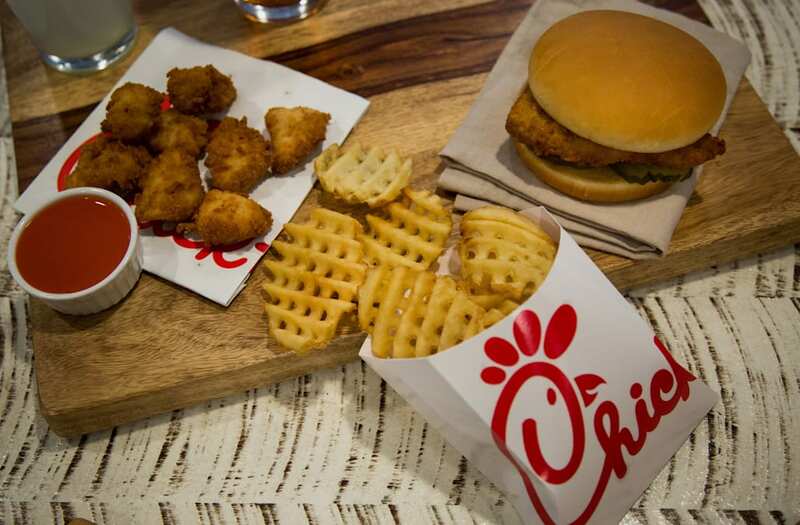 Customers can get free entreés from both the breakfast and lunch/dinner menu, including chicken biscuits, chicken sandwiches, and chicken nuggets. Salads are among the few entreés that are not available for free as part of the celebration. Children dressed in cow apparel can receive a free kid's meal. Cow Appreciation Day is Chick-fil-A's biggest annual promotion. According to the company, 1.8 million people dressed up as cows in 2017 in order to get free food. This is the 14th year that Chick-fil-A has hosted Cow Appreciation Day. It previously was held on Fridays, but demand was so overwhelming that the company decided to move it to a less busy day, and it now holds the event annually on a Tuesday. If you have any other questions about Cow Appreciation Day 2018 and the best way to get free food, check out Chick-fil-A's website on the celebration.